Show Your Body Some TLC: Tender Loving CoolSculpting! The way we view our bodies has a significant impact on our overall happiness and self-esteem. These days, most individuals aren’t completely satisfied until they have achieved a slim waist and eliminated any pockets of fat in sight. While you shouldn’t allow yourself to fret over the occasional curve or roll, our expert team at Miami Fat Freeze wants to help you look and feel your best. Luckily, we can do just that with the use of our CoolSculpting Miami services. TLC is usually an acronym for “Tender Loving Care,” but at Miami Fat Freeze, it is commonly used to express our need for some Tender Loving CoolSculpting (which for many is synonymous.) We believe that regular CoolSculpting sessions are a fantastic way to unwind and seek the self-care you deserve. While facials, haircuts, and a trip to the sauna are all great ways to keep yourself in top shape, CoolSculpting is number one on the list of our self-care routine. Many individuals spend countless hours at the gym each week and stick to a clean diet day in and day out but are still not satisfied with the appearance of their body. 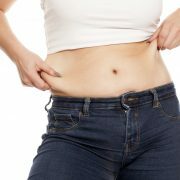 This is because there are specific areas of stubborn fat that are almost impossible to eliminate without a specialized procedure. If you have ever looked in the mirror and obsessed over the extra fat on your hips, tummy, arms, back, or legs, we are confident that a CoolSculpting session can do you wonders. A fat freezing treatment can target those specific areas that are keeping you from achieving the body of your dreams and eliminate the fat deposits for good! A set of cooling plates will be placed on the skin, and the specialized machine will work its magic during the span of about an hour. 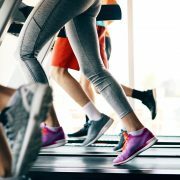 During that time, the fat cells will be frozen, which will, in turn, trigger your body’s ability to kill them off. It may take a few days for your body to complete the process, but once it does, you will be amazed at the results. 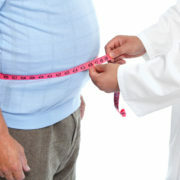 Long gone are the days where you had to be placed on an operating table to reduce areas of fat so quickly. If the noninvasive route is more your speed, CoolSculpting is the procedure you have been dreaming of. It is a simple and effective way to see real results without having to worry about general anesthesia, dangerous side effects, scarring, and an extended recovery period. CoolSculpting Miami has taken the city by storm. As the temperatures get significantly warmer in South Florida and the spring season reveals itself, everyone is rushing to get their bodies swimsuit ready. If you indulged in too many snacks this winter and skipped one too many trips to the gym, you do not need to hide away from the beach all season long. With just one CoolSculpting session, you are guaranteed to see real changes and get one step closer to the confident you that is hidden beneath the surface. Don’t miss out on this life-changing procedure any longer! Freeze away all that unwanted fat with CoolSculpting by Miami Fat Freeze today. Give us a call at (305) 901-5777 for more information on CoolSculpting Miami or click here to make an appointment! https://miamifatfreeze.com/wp-content/uploads/2018/04/Coolsculpting-Miami.jpg 819 1281 Miami Fat Freeze https://miamifatfreeze.com/wp-content/uploads/2015/06/Coolsculpting-logo.png Miami Fat Freeze2018-04-06 14:12:522018-06-11 15:05:36Show Your Body Some TLC: Tender Loving CoolSculpting! What Is Cellulite? How Can CoolSculpting Improve Your Cellulite? New Year, New Body: Get the Body You Were Made to Have with CoolSculpting! New Celebs Are Trying Coolsculpting! CoolSculpting vs. Liposuction: Are Results The Same? Go down an Entire Jean Size! Try CoolSculpting Today. 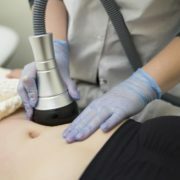 Feel Confident in Your Own Skin with the Help of Miami Fat Freeze!